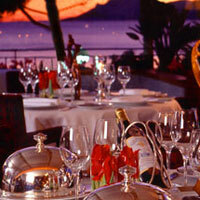 Find out more about the city of Cannes to make the most of your stay, no matter which congress you’re attending. From restaurants and nightlife to shopping and beaches, Cannes is full of things to see and do for locals, business delegates and tourists alike. Located in the French Riviera, Cannes boasts highs of 28°C in the summer and average of 10°C in the winter. Plus, don’t miss our free Everything Cannes guide to help you really make the most of your time here. 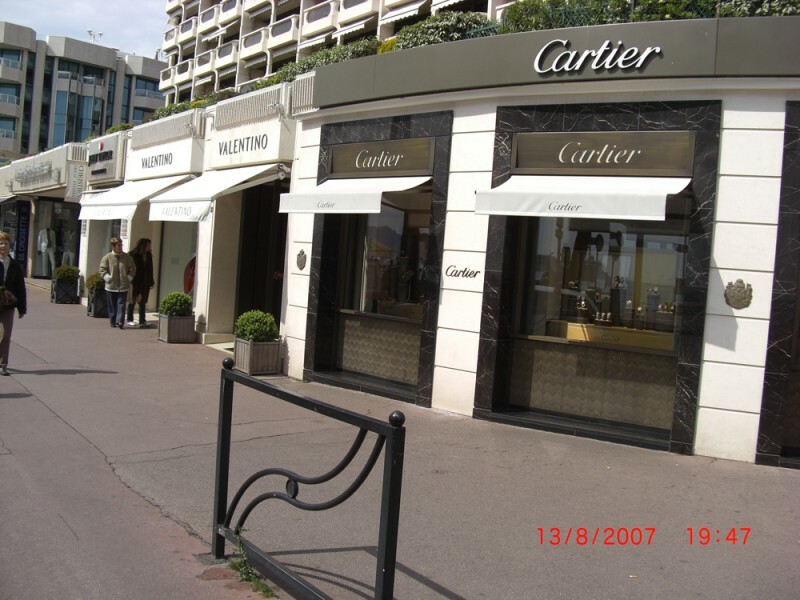 Cannes is known for its luxury shopping, especially along the sophisticated Croisette, which is lined by the big names in fashion for both men and women. 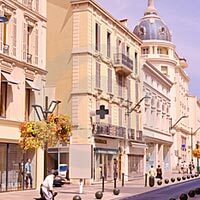 It is home to famous clothes and jewellery boutiques including Dior, Chanel, Bulgari, Cartier, Fendi & Gucci. 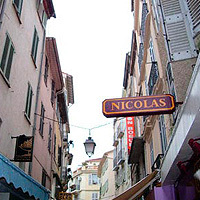 The stores stretch from the Hôtel Carlton almost to the Palais des Festivals, with the best names closest to the Gray-d'Albion, which is both a mall and a hotel. At this bustling market, sellers come with the best produce the region has to offer. Along with wonderful displays of fresh fruit and vegetables, the stalls sell cheese, cold meats, fish, oysters, patés, olives, homemade pasta, and flowers. The 'producteurs' are local farmers who sell their own produce, all home grown or hand made and brought to market each day. 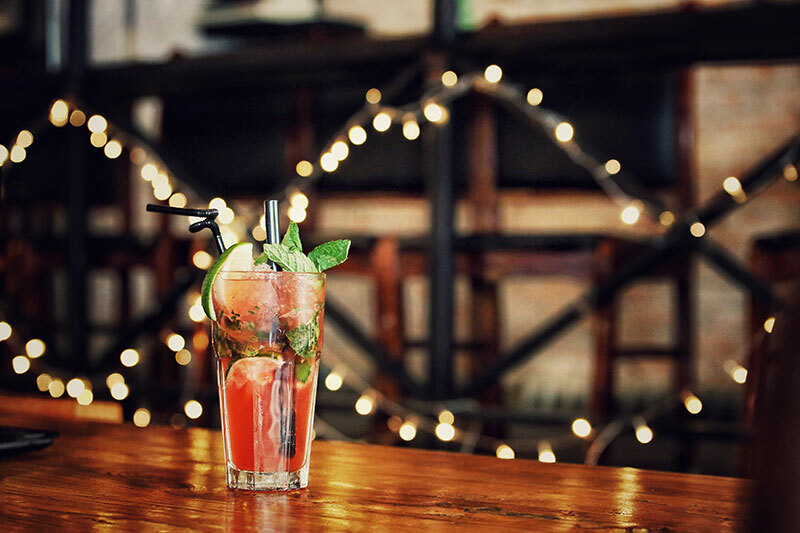 Visit on a Saturday, and the surrounding bars and cafés get packed with locals enjoying drinks and lunch after the market closes. There are little bars serving a glass of wine with oysters, wonderful wine shops, quality butchers, and the bread shops selling specialist Provencal bread. For low-key shopping head towards Rue Meynadier which has souvenir shops and boutiques, as well as some good restaurants. 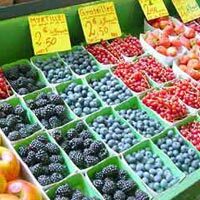 It is more affordable than the Rue d’Antibes and you can also buy some great gourmet foods in the local emporiums including wine, olives and pastries. 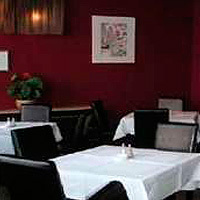 A tiny restaurant with a limited set menu, but very popular and serving good quality food. In business for over 60 years, the cuisine is traditional and the restaurant offers a warm and friendly bistro ambience with extremely friendly service. 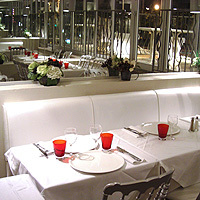 Slightly away from the centre of Cannes (10 minute stroll from the Palais) this restaurant is definitely worth walking to. 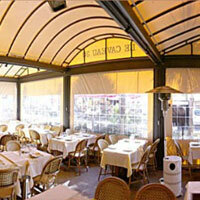 The quality of food is excellent, prices are very reasonable, and the staff are friendly. Booking is advised, they generally respond very quickly to messages sent via their Facebook webpage. It is well worth the drive to this restaurant (approximately 15 – 20 minutes). Arrive early if you can and wander around the lovely village centre before you sit down for your meal. 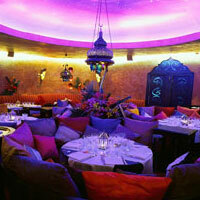 The food is delicious, beautifully presented, and served by very friendly staff. 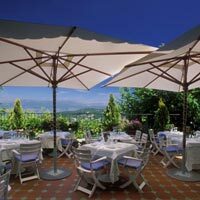 It is very popular, so book in advance, and if it is warm ask for a table on the terrace, which has great views. This small restaurant is well located, facing the port. 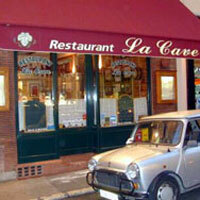 Of all the restaurants along this street, this is our favourite - great French food, at reasonable prices. Booking is advised, essential during the congresses. There is no children’s menu, but the owners are more than happy to prepare simple meals such as fish or steak with mashed potatoes and vegetables. Very popular with local residents, this is another very small restaurant, so make a reservation if you want to be sure of a table. With a bistro ambience and classic cuisine, as well as an extensive wine list, a meal at La Cave is both enjoyable and filling. A small yet very popular bistro with very good quality food & friendly staff. Despite the front-line location, they serve a very reasonable 3 course set menu for 26.80€, which offers a good selection of great food – especially the desserts! Glamorously refurbished, there is a small open air terrace upstairs in the warmer months. 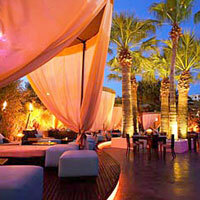 A large restaurant, ideally located close to the Palais, with a good selection of food and an excellent cocktail bar. 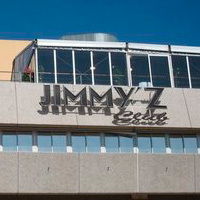 Well run by efficient and friendly staff - one of the few restaurants in Cannes that serves food all day. Perfect for large groups, but also for families as children are made very welcome. 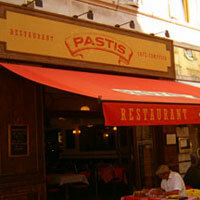 Open from 8.00am – 2.30am, Pastis offers breakfast through to night-time aperitifs. There is a good selection of salads, sandwiches, omlettes, pizzas, pastas, all of good quality. 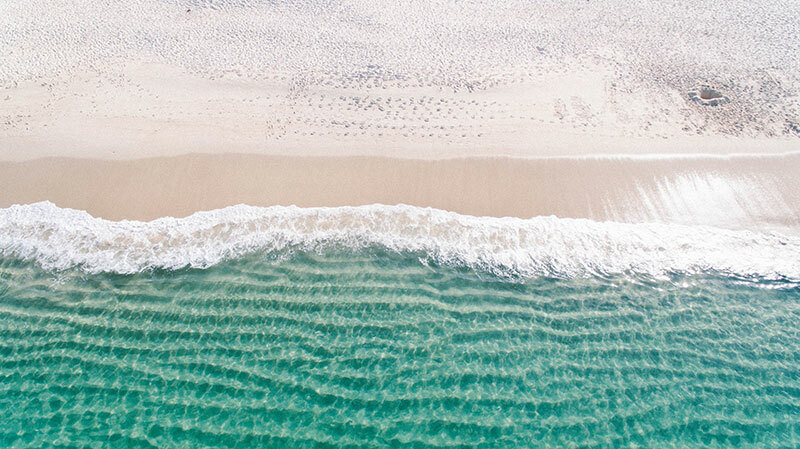 A visit to Les iles de lerins, less than half an hour’s boat trip away across the bay from Cannes, will bring you to some beautiful unspoilt beaches. The "Iles de Lérins" are the islands of Sainte-Marguerite and Saint-Honorat. 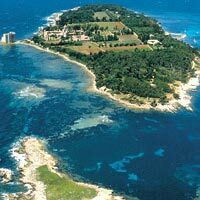 The Ile Saint-Honorat has a Mediterranean coastal forest of native pine, eucalyptus and cypress trees. It was on the island of Sainte-Marguerite that the “Man in the Iron Mask”, made famous by Alexandre Dumas, he spent eleven years in the prison of the Isle of Sainte-Marguerite. The beaches of Palm beach are a little walk from the Croisette but have a completely different atmosphere from those on the Croisette, here the beach is more family orientated as the waters are very shallow. This area is also fantastic for watching kite surfers. The public beach near to the Palais des Festival at the Western end of the Croisette spans from the Hotel Majestic to the end, near to the Vieux Port. The area closer to the Majestic and the volley ball can become very crowded in the summer months so it is best to head down to the other end for a more relaxing day in the sun. 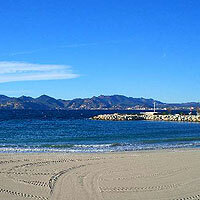 This is one of the more famous private beaches, and is the biggest on La Croisette. The rich and trendy of Cannes come here for lunch, to sunbathe and hang out . If you're feeling more energetic there's parasailing; helicopter rides; waterskiing; sailing; wind-surfing; and scuba diving on offer. The Plage Royal is a restaurant with private beach. Sun beds are available to hire (18€ whole day / 15€ half day) and there are changing and washing facilities inside the club. 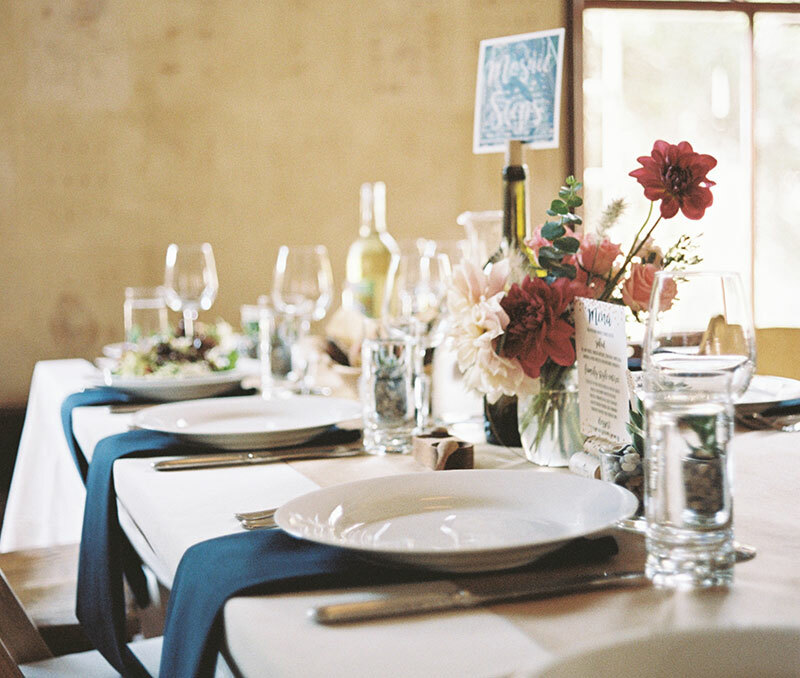 You can have a meal at the restaurant or you can arrange for lunch to be served on the beach. It is worthwhile booking your sun beds if you want a spot in the front row of overlooking the sea, as they get full very quickly.